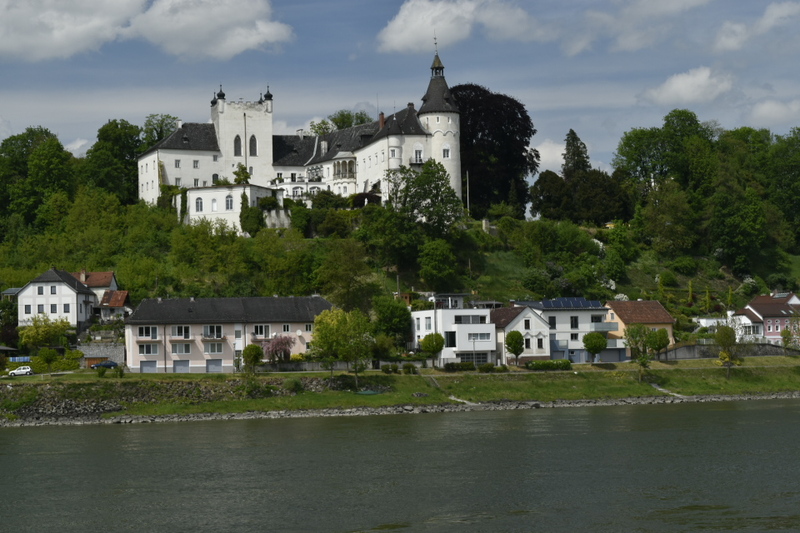 My introduction to the Donau was on a day trip into Ulm. 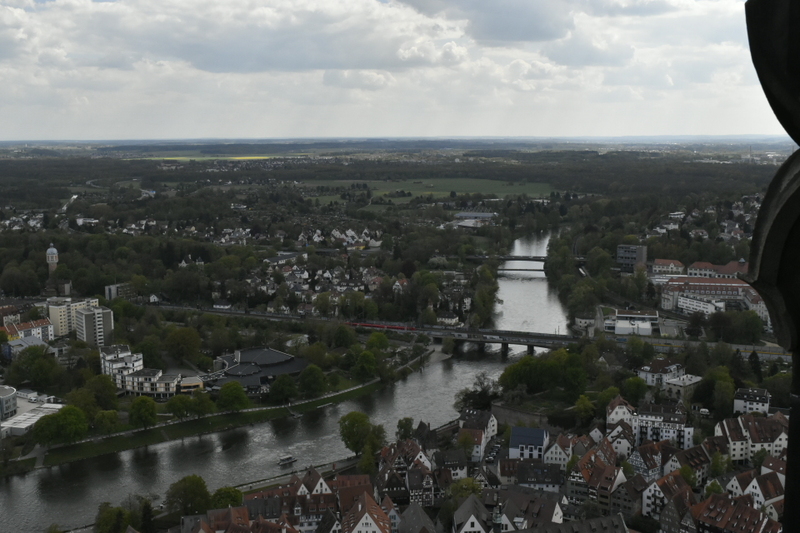 With the chores done we turned tourist & climbed up the 768 steps to the top of Munster, the largest church tower in the world which had spectacular views of the city, countryside & River Danube. Last year Ulm celebrated 150 years of completion. Cologne also celebrated the occasion whilst noting the old rivalry saying, congratulations to 150 years & 4 metres. Approaching the last of the stairs. 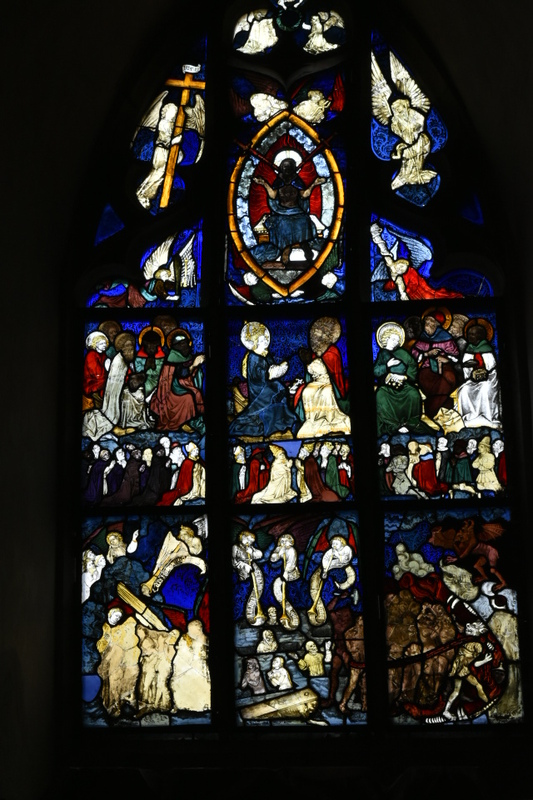 One of the ancient stain glass windows in the Ulm church. 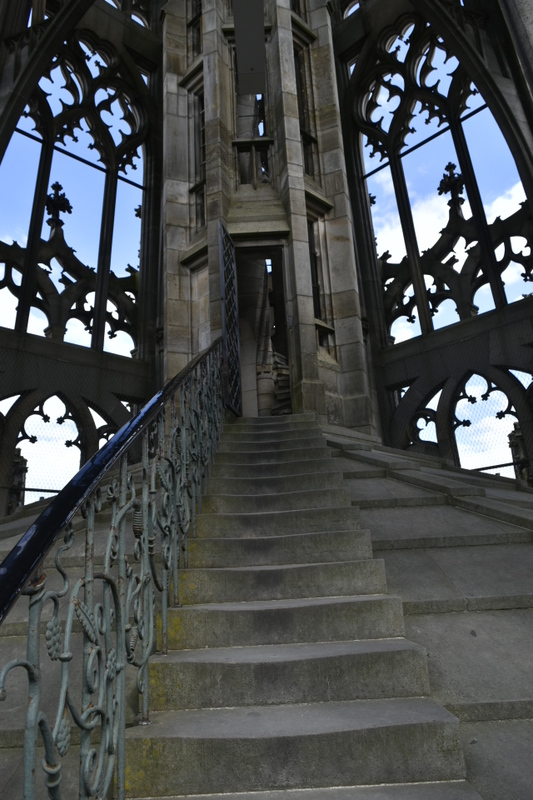 View from the Munster (Minster) in Ulm. 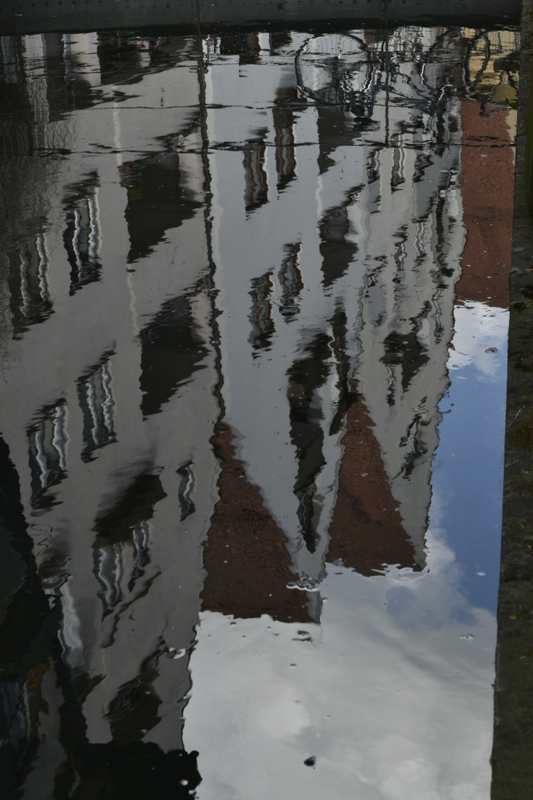 Reflections in the water ways through the old town in Ulm. Both of us had expected to follow the river quite closely but having cycled many Sustrans routes in the past, where the North Sea Cycle Route goes through York in the UK, we should have known better. Gid has had a flat tyre, in fact it’s an old one (an instant patch) that has failed after 9 months use, 6 / 1. Gid always gets the punctures, tee hee, but I have killed my down mattress by deflating it when kneeling on it. A baffle broke & the inner tent looked as if there had been a snow storm. Gid has also had gear failure on his bike, apart from the on-going shimmy, that dominates his packing proceedure and many hours of cycling, he has had a bearing brake in his front hub. 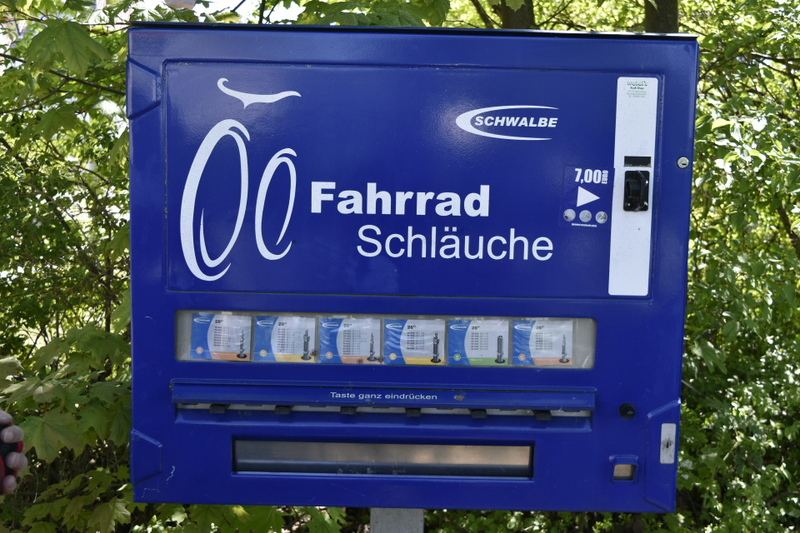 Along the route and generally scattered around are street dispensers selling inner tubes. Gid hasn’t needed to purchase one yet! As well as the stunning views and numerous castles along the route we are notching up a list of animals we’ve seen. So far: far more hares than rabbits, snakes, a slow worm, deer, numerous buzzards that seem to follow tractors like the seagulls in England, to name a few. There is also a frequent cacophony of frog ‘song’. Once one frog starts they all get going until it eventually quietens back down.